It's part of a growing need to promote children's mental well-being. The UN Global Goal for health addresses the importance of promoting mental well-being, as extreme poverty is both a cause and an effect of mental health problems. By addressing the issue in childhood, India is helping children make the most of their potential. You can join us by taking action on health here . The Dalai Lama has launched a new “happiness curriculum” for over 800,000 children in Delhi, India’s capital city. As part of the new programme, students will have a weekly “happiness period” of 45 minutes, with each class beginning with a five-minute meditation session. The aim of the whole scheme is to put the emphasis on children’s mental wellbeing, in the hope it can spark a change that will “one day spread across the country and the world as well," according to education minister Manish Sisodia. “India is the only country that can bring together modern education and ancient Indian knowledge,” said the Dalai Lama, the Tibetan Buddhist leader and a Nobel Peace Prize winner. The curriculum, which also includes moral value education and mental exercises, will be rolled out at over a thousand state-run schools in Delhi. Over 40 teachers, educators, and volunteers designed and prepared the curriculum over a six-month period, and it will be taught to all students from nursery up to class eight, according to reports. “While many people consider sensory experience as the main source of happiness, really it is peace of mind,” said the Dalai Lama on Twitter. “It is our belief that the modern day problems like terrorism, corruption, and pollution can be solved through schools and a human-centric education,” he added. The UN’s Global Goal for health includes action to promote mental health and wellbeing, and it’s an important issue bearing in mind the complex relationship between mental illness and poverty. While mental illness can affect anyone, anywhere, poverty increases the risk of mental health problems — and mental health problems can also drive people into poverty. According to the World Health Organisation , common mental disorders are about twice as frequent among the poor as they are among the rich. Another report, published by the Association for Psychological Science , exploring the connection between mental health and poverty in the United States, found that participants who spent more time in poverty in early childhood showed signs of worse mental health in adulthood. It’s about kids before curriculum. . .
With India being home to over 30% of the almost 385 million children living in extreme poverty globally, according to a 2016 report by World Bank Group and Unicef, tackling the mental health challenges that come as a result of poverty is a vital step. But there is a growing call for wellbeing to be introduced into classrooms around the world, too. In the UK, for example, statistics reportedly show that one in 10 children — about three children in every classroom — have a diagnosable mental health problem. Meanwhile, some 75% of mental health problems in adults have their roots in childhood. Researchers at the London School of Economics, exploring the causes of unhappiness, found that the strongest factor in predicting a happy adult life isn’t the qualifications they get as a child, but their emotional health. The researchers criticised “exam-mania” — the growing pressure on children to gain more and higher qualifications — and went on to suggest that politicians invest in a four-year curriculum called Healthy Minds, which would include one lesson a week on wellbeing. And, as always if you’re looking for education system inspiration, you can’t go far wrong with Finland — widely held as being a world leader. One of the many factors that reportedly make Finland’s education system so superior is the emphasis that’s put on the child’s wellbeing — through providing ample time to play, minimal hours in the classroom, and no homework. Every year on July 18th, people across the globe celebrate Nelson Mandela’s birthday and contributions to the world by spending 67 minutes — representing the 67 years he fought for human rights during his lifetime — making a difference in the lives of others. Mandela began campaigning for the rights of all South Africans in 1942 and continued the fight as a human rights lawyer and, later, as a prisoner for freedom on Robben Island. He went on to become an international peacemaker and the first democratically elected president of South Africa. Family and friends gather together and look back on what has been done and forward to what will be done, making every day a Nelson Mandela Day. Siviwe says, “When you think you have nothing to give that is when you should give.” He is celebrating his birthday, July 18th, along with Nelson Mandela by bringing volunteers to paint colourful murals on the dark grey walls of local townships and bringing educational “iThuba” or opportunities in Xhosa to the underprivileged schools. Students put on a drama performance on the fight for freedom in South Africa. Secondary school students watch an education film on becoming “Mandela’s friends” by inspiring change in their community. Donation ceremonies were held for orphanages to have food, medicine, and school supplies. Female leaders gather to host a summit on gender equality. Girls at a Muay Thai club studied self-defense and encouraged themselves to help the world find solutions to end violence against women and girls and protect human rights. Up to €30k available for each proposal in new 'Music Moves Europe' project. As part of a new initiative called ‘Music Moves Europe: Boosting European Music Diversity and Talent’, the EU has issued a call for four proposals and tenders across four separate areas: online and offline music distribution; the establishment of a European Music Observatory; a training scheme for young music professionals; and a European music export strategy. Music Moves Europe developed out of concerns over both the payment of artists online and the lack of visibility of non-American and British music on major streaming platforms. While music is being consumed more than ever, artists and producers claim that they do not receive fair remuneration for the online exploitation of their work. European content, especially from smaller countries, struggles for visibility on big streaming platforms compared to that of American and British artists. The European Parliament has secured €1.5m ‘with the aim to test suitable actions for more targeted EU funding for music post-2020’. In her talk at Midem last year, Martine Reicherts of the European Commission said ‘Music is back in Europe… at some stage in Europe we failed to touch the European citizen’s heart. We talk about economy, we talk about the euro, but do people really love Europe?… In a way I feel we have missed the point of the cultural aspect’. Reicherts points to a new emphasis on culture at the EU with music playing an important role. In May, the Commission proposed an increase of €390 million to the budget for supporting cultural and creative sectors, bringing the total to €1.85 billion for 2021–2027. The media sector will receive €1.081bn, €609 million will be allocated to culture including music, and €160m will be cross-sectoral, funding SMEs and cultural organisations. The first call for proposals in ‘Music Moves Europe’ aims at supporting up to 10 online or offline distribution projects or start-ups to increase the circulation of European music and to address national fragmentation and language barriers. The second call aims to support up to 10 training programmes for young professionals, to improve the music sector’s resilience and professionalisation. The third is for a feasibility study for a European Music Observatory that would engage in ‘reliable and regular data collection on the music sector at European level’. Finally, Music Moves Europe is seeking tenders for the development of a European Music Export Strategy to address the ‘fragmented, diverse and complex landscape’ in Europe and the challenge that ‘Non-English music repertoire from Europe struggles to cross European borders’. The maximum grant will be €30,000 per proposal. The grant is limited to 90% of costs. The deadline for submitting applications is 10 September 2018 and decisions will be issued by November. For further details, visit ec.europa.eu. “Best Buddies has helped make me more confident” – 22-year-old Danni. This life-changing project was only possible thanks to the generosity of a supporter who included a gift to Mencap in their Will. Have you? If so, please comment or send us a message. It is National Democracy Week and Jack Welch, from our Voices Council, has been talking democracy with us in relation to #LearningDisability and having your voice heard. The LLHM 2019 ballot is free to enter. You do not need to enter any card details when you complete the ballot form. If you are successful you will be asked to pay a fee of £55 + booking fee and this money will go to baby charity, Tommy's who organise the London Landmarks Half Marathon. Tommy's exist to save babies' lives through funding research into miscarriage, premature birth and stillbirth. If you are unsuccessful in the ballot there are plenty of charity places up for grabs. We are delighted to welcome 150 charity partners to the 2019 event who include Tommy’s, Alzheimer’s Research UK, Cancer Research UK, Guide Dogs, Macmillan Cancer Support, Prostate Cancer UK and Make-A-Wish. After months of planning, preparation and excitement, regrettably we experienced technology issues yesterday when the ballot was due to open. Our participants mean a lot to us and we recognise that the issues and delays will have impacted and caused inconvenience for many people. For that we apologise. We realise you're likely to have further questions about what happened yesterday and why, please see below information from our technology partners Active Network. We're pleased to say that the ballot is now fully functional and will be extended to close on 10th July, 12 noon. From everyone at LLHM we wish you the best of luck in the ballot and are so sorry again for any inconvenience caused. Once 2019 places are offered if you're lucky enough to secure a public place, why not run and fundraise for a cause that is close to your heart? There is no minimum fundraising target. Just chose your charity and contact them so they know you would like to run for the charity. 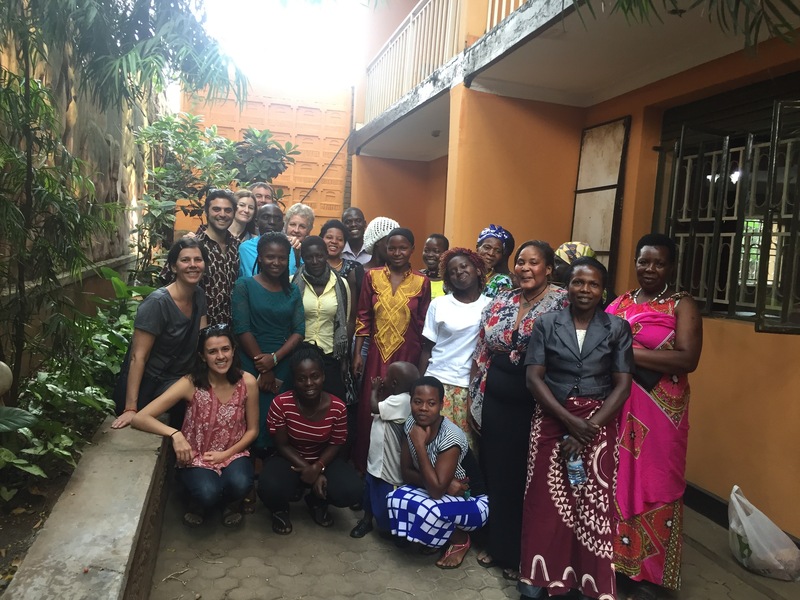 This story was originally reported by Rodrigue Rwirahira for Women’s Advancement Deeply. 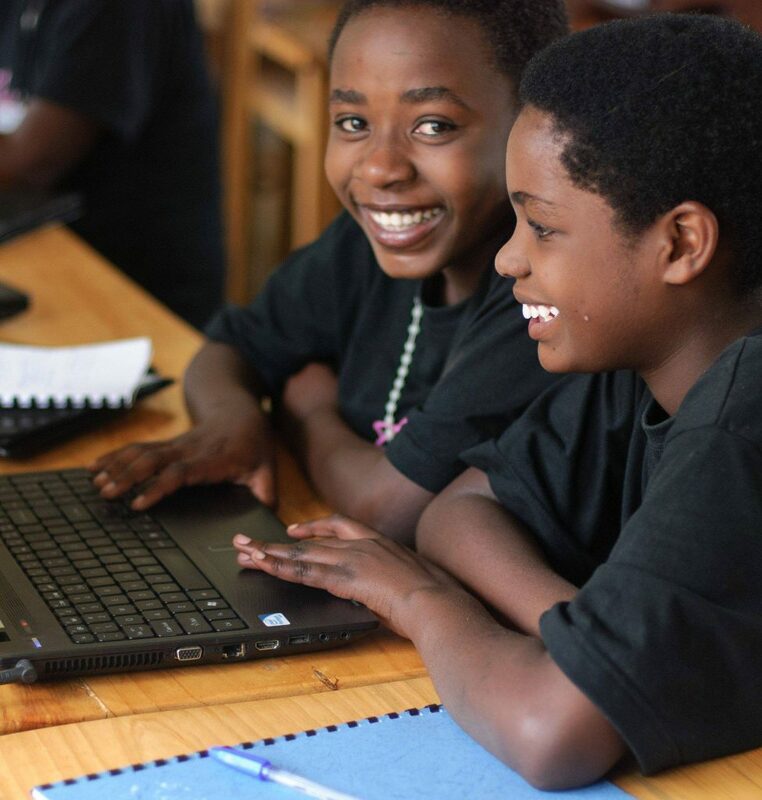 In recent years, Rwanda has been going through a digital revolution. The tech industry has become one of the largest contributors to GDP growth, at 3 percent, and, the government claims, the burgeoning sector is attracting more and more investment from foreign countries. But women are largely missing out on this tech boom, and those who do work in the industry say companies and the government need to do more to help bolster their ranks. The gender gap starts in high school and college, where the number of young women studying science, technology, engineering and mathematics (STEM) is dwarfed by the number of young men. The Educational Statistical Yearbook shows that only 34 percent of women opt to study sciences in university, compared to 66 percent of men. The number of women taking engineering is even smaller at 23 percent versus 77 percent of men. 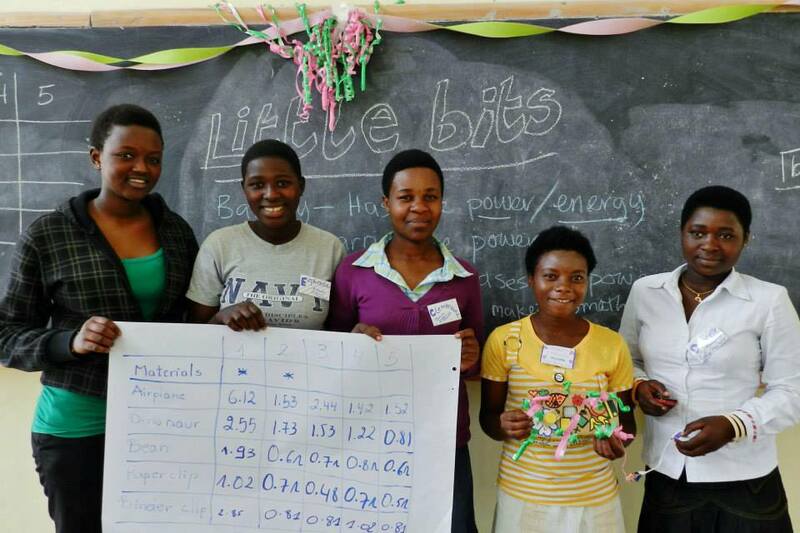 This does not mean that Rwanda’s young women lack the drive to get into the tech sector: In vocational training, the number of women learning basic skills in information and communication technology (ICT) outpaces men at 51 percent compared to 49 percent. But once women leave university or training and go into the tech workforce, they come up against prejudices and obstacles their male counterparts never have to face. When Sandrine Sangwa, 24, graduated with an I.T. 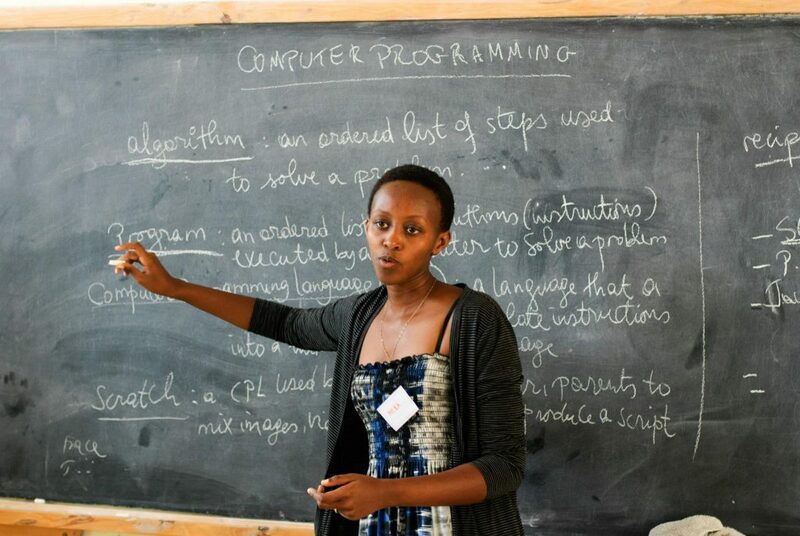 degree from the Akilah Institute in Kigali in 2017, she never thought of looking for any other job because she was determined to build her own software design company. She took an internship at K-LAB, an incubator that helps software designers develop and sell their ideas, and started working on creating her own apps. She came up with Sangwapp, which supports people with visual impairment by translating signs and giving them an audio description of things they can’t see. But when she tried to take the app to market she says she couldn’t get past the prejudices held by would-be buyers and potential clients. In general, Sangwa says, clients tend to assume that men are better at coding, making it impossible for women software designers to compete. 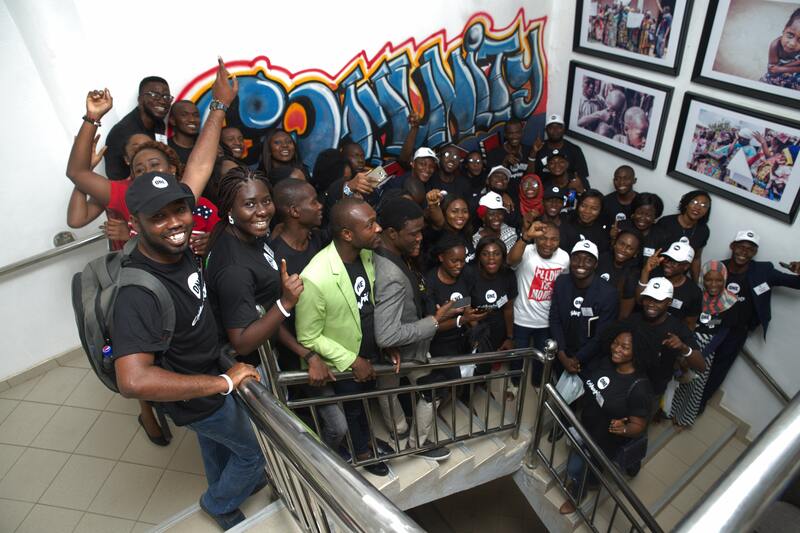 “We are yet to get to the level of wooing our potential clients. 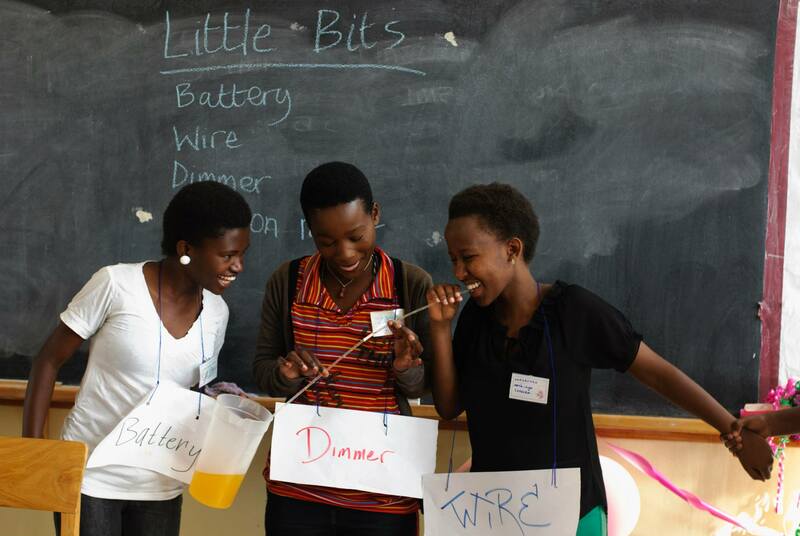 The mission of GIRLS IN ICT, which comprises around 30 young professional women in the I.T. industry, is to raise awareness of the benefits of a career in digital tech among high school girls. 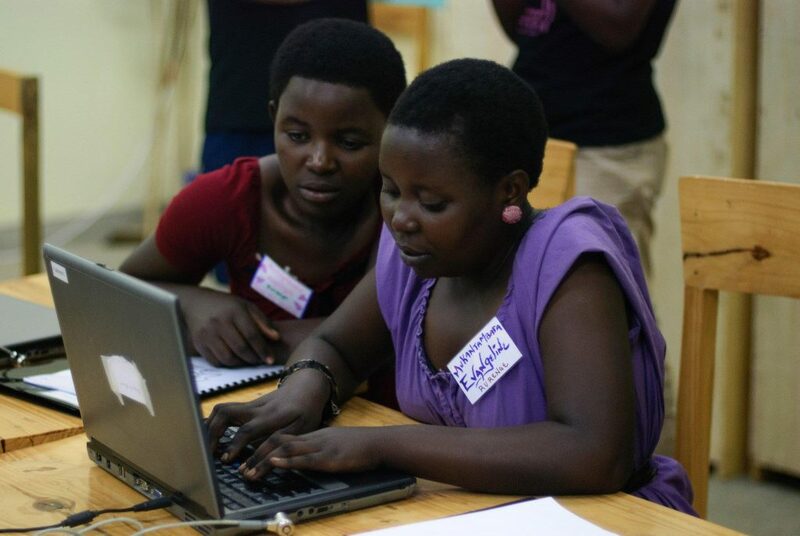 GIRLS IN ICT has partnered with Smart Africa – a private initiative working with governments to improve access to technology – to raise the profile of its members and help them identify solutions to some of the societal issues facing Rwanda, including food security, transport infrastructure and disaster and land management. GIRLS IN ICT also organizes competitions, such as the annual Ms. Geek contest, to motivate school-aged girls to come up with innovative tech or business ideas, as well providing a regular one-week bootcamp to teach girls in remote areas basic programming, internet and computer skills. Keza says the organization has seen girls build the confidence to be more proactive in the tech industry. She says a number of girls who have gone through the training programs have gotten tech jobs in banks, broadband management companies and telecommunications firms. 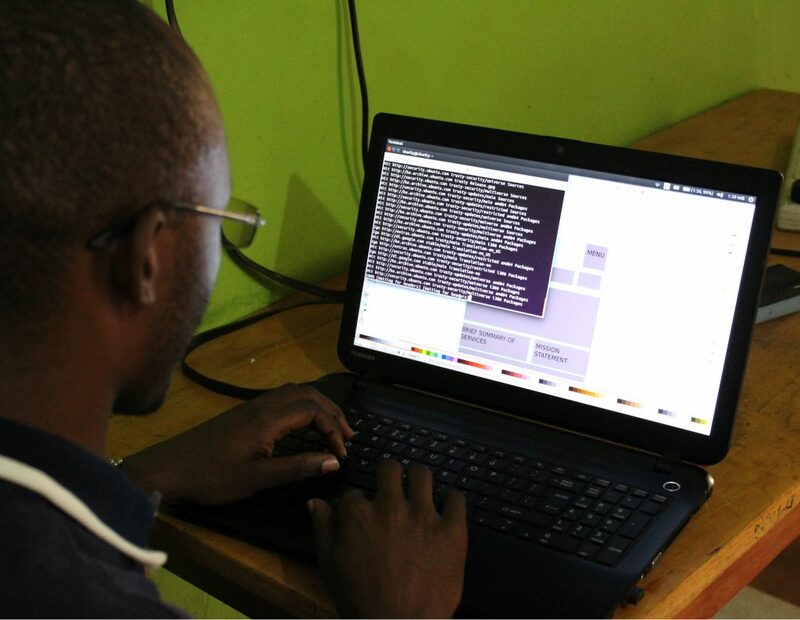 Claudette Irere, director of ICT at Rwanda’s Ministry of Information Technology and Communication, says the government is aware of the problem, and has plans to tackle it. She says the ministry has several projects in the pipeline with the Ministry of Gender and Family Affairs to raise the number of women in the sector, and will release a strategy to address the gender gap by the end of this financial year. Sangwa, the software designer, feels the government is doing a good job at supporting women in ICT. 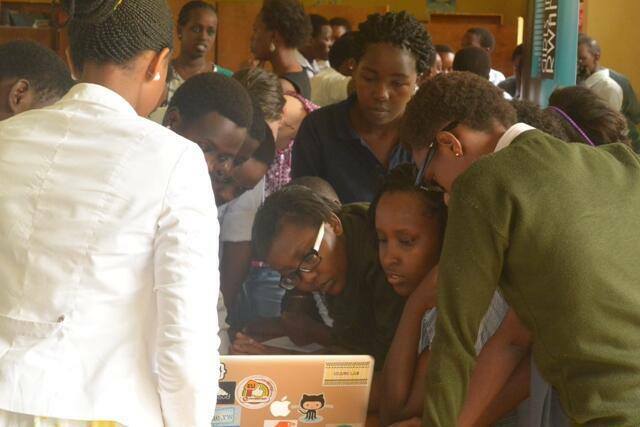 But, she says, unless private companies are more proactive about hiring women, she and her female peers will never be given an equal chance to take part in Rwanda’s digital revolution. In the summer months, routines lapse and schedules get interrupted. This is especially true for student musicians, who are on vacation from June until September. Many music teachers, too, move to a lighter schedule in the summer while the bulk of their students are away or taking a break. Keeping up your practice routine is important, though; taking a three-month break from your instrument is practically guaranteed to set you back when you do return to it. What’s more, the summer is a great time to focus on developing your practice habits, leaping from one plateau to the next, and getting out of ruts. If your new schedule leaves you with more time to practice, here are some ways to take advantage of it. 1. Set a goal for the end of the summer. Is there a particular piece of music you’ve always wanted to learn? Is there a technique you want to master? Have you been meaning to write, record, or perform something new, or in some new way? Do you want to put together a new ensemble? With three months of lazy days in front of you, the summer is a great time to set your sights high. Consult with your teacher, if you have one, and pick an exciting goal that you can reasonably expect to achieve. Think of it as a summer-long project. 2. Establish interim markers along the way to your goal. That which can be measured improves. When you set a goal in June to reach by September, it can feel far-off and daunting. Most students study on a lesson-to-lesson basis, and are used to having weekly goals set for them. For your summer project, it helps to have some signposts along the way. If you want to learn a new piece, for example, you can divide it into sections and assign yourself a deadline for each one. Keep track of them in your practice planner, or on your sheet music. This will help you to stay focused, and to assess your progress on a shorter-term basis. This way, you’ll know when you’re getting there. 3. Decide how much time to practice each day, and stick to it. This is important year-round, of course, but more difficult during the summer. You’ll have more freedom over when to practice, but you will still need to carve out time to spend working on music. Dedicating time each day to practice helps musicians develop discipline, as well as muscle memory and “chops.” As always, it’s more important to practice smart than to practice long—establish a practice routine you can stick with. If you’re lucky enough to have fewer commitments during the summer, you can always break up your practice sessions into “two-a-days.” For instance, you could work on technique in the morning, and on repertoire after dinner. 4. Reward yourself. Working towards a long-term goal can put off some of the gratification that comes from music. Practice without performances, recitals, and lessons can get tedious. You can build your own rewards into your practice program, though: when you accomplish one of your short-term goals, be sure to reward yourself. Buy a fancy coffee or an ice cream cone, take the walk you’ve been meaning to, go to a ballgame, or just get outside in the summer sun. The important thing is to build in not just deadlines but rewards when you meet them. 5. Have Fun! Whatever you decide to practice over the summer, have fun with it. Make time to play with other musicians, if you can. Don’t just practice the difficult thing you intend to perfect by the fall; practice the material you enjoy the most. Remember: it’s called playing music for a reason. 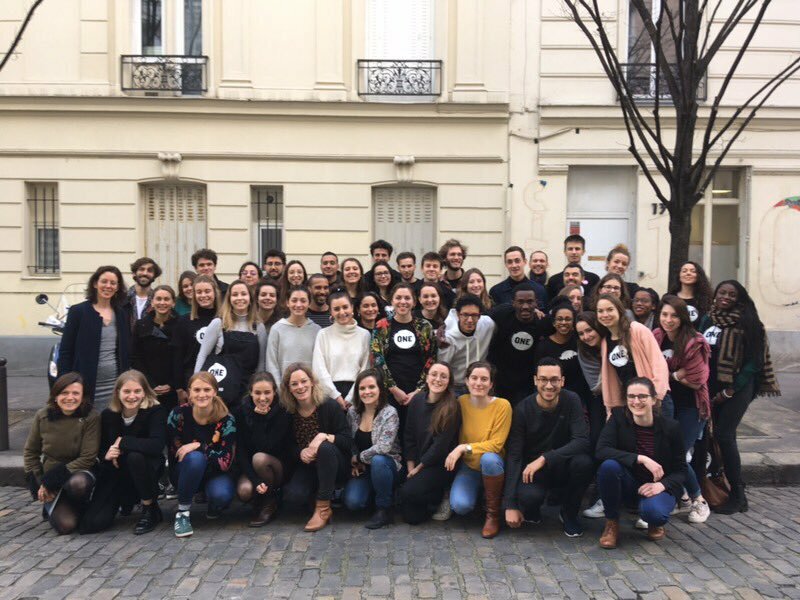 We are one hundred young activists: 50 in Nigeria and 50 in France. We have not met in person, but we are all fighting for the same goal. We are the generation that could end extreme poverty, and we intend to do everything that is in our power to make this happen. Each one of us, on our respective continents, advocate to convince our governments to do more to fight AIDS and other preventable diseases in the poorest places on the planet, to make sure every girl in the world can go to school and to combat corruption so governments are accountable to their citizens. The "Chun-Li" rapper is also a fairy godmother to her academic fans. Through her new scholarship fund, artist Nicki Minaj is changing the lives of her fans. According to a report from the Institute for Higher Education Policy last year, 95% of American colleges are too expensive for the majority of low-income students. You can join us in taking action on quality education and the rest of the Global Goals here. One of the world’s best-selling music artists is making her fans’ academic dreams come true. Nicki Minaj, the award-winning MC known for her rapid-fire flow and quirky alter egos, announced Friday that she will pay the full college tuition or remaining student loans for 37 of her fans via her new scholarship fund called Student of the Game, Billboard reports. The “Chun-Li” rapper’s new initiative began to emerge in 2017, when a fan asked if the artist would cover her college tuition. Not long after, Minaj posted a handful of students’ names with a total of their loans, school expenses, and summer classes she spontaneously paid off via her Instagram, according to Billboard. The rapper then announced in the caption that she would be launching an official scholarship fund for future submissions. The Student of the Game charity launched this spring. The response from recipients online was swift and emotional, with many referring to Minaj as a “blessing” and posting images of themselves in tears. But the scholarship fund isn’t Minaj’s first dance with philanthropy. In the past, the rapper also partnered with a nonprofit through her pastor, Lydia Sloley, to provide water wells, sewing machines, and a computer center to an Indian village. “This is the kind of thing that makes me feel the most proud,” Minaj wrote on Instagram at the time. When Innocent fled his native Democratic Republic of the Congo and arrived in the Kakuma refugee camp in 2009, he felt as if he couldn’t have been any further from the rest of the world. 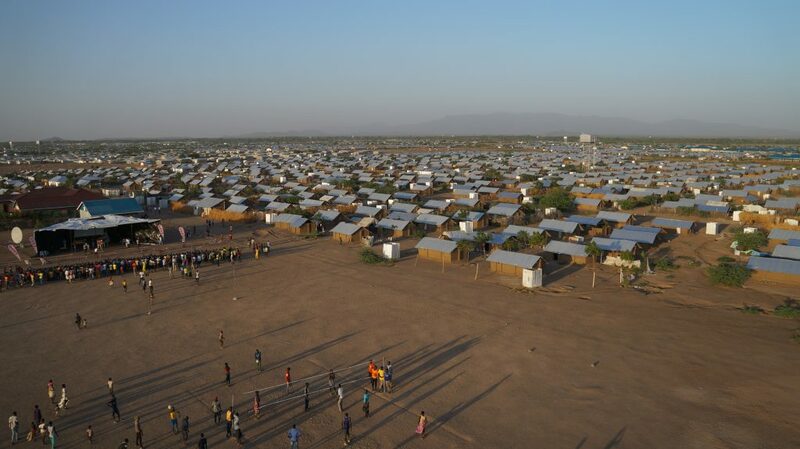 Kakuma is a sprawling settlement in a remote and arid part of northwestern Kenya, and its inhabitants — refugees from DRC, Somalia, Burundi, Ethiopia, and other countries — have little access to higher education, business opportunities, job markets, and healthcare. For a while, like many others in Kakuma, Innocent spent his days idling away time. In Congo, he had been studying electrical engineering at Goma University. But here in the camp, opportunities for study and work were few and far between. But all of that changed the day he was awarded a scholarship to study through Jesuit Worldwide Learning, which provides higher education to communities on the margins of society. Through a computer screen in the camp’s learning center, Innocent and several other students were able to connect to tutors and professors on the other side of the world at Regis University in Colorado. 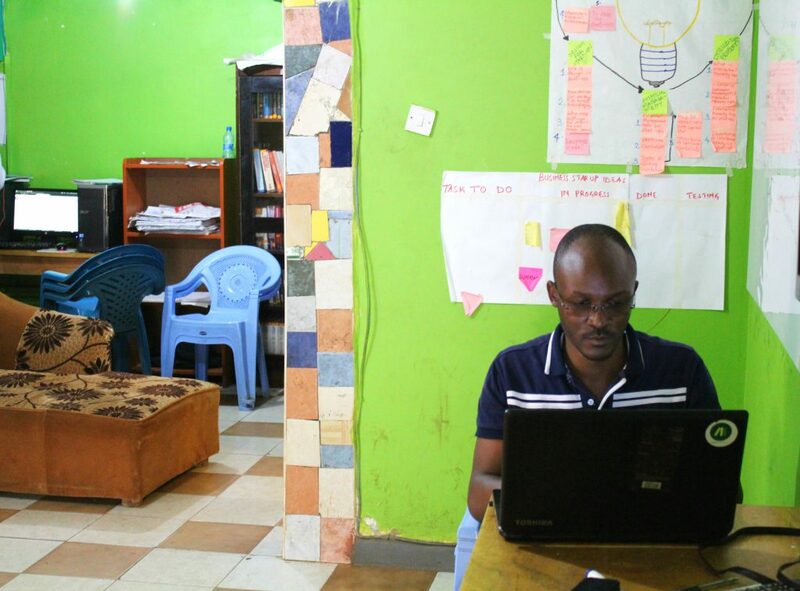 Once Innocent made a living off what he’d learned and the impact of his online education became clear, he knew that countless others in the camp would also benefit from being connected to the internet. Inspired by his love of art, Innocent created a website to connect artists in Kakuma to the outside world: “I know so many talented artists, but they used to be desperate because they couldn’t make a living off their art.” Through Innocent’s website, Kakuma’s refugee artists are able to showcase their creations and sell them online, giving them access to a whole world beyond the camp. “Kakuma is a remote place, and we are physically disconnected from the rest of the world. But thanks to the internet, we can connect to anyone, anywhere,” says Innocent. 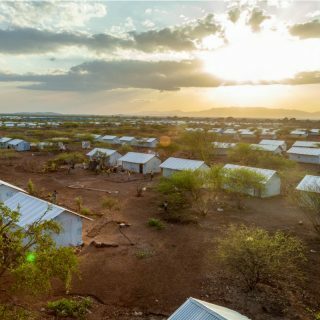 His new project intends to do just that: By connecting would-be business owners to outside investors, Kakuma Ventures aims to build sustainable businesses that provide education, clean water, healthcare, clothing, and more to the 200,000 inhabitants of Kakuma. 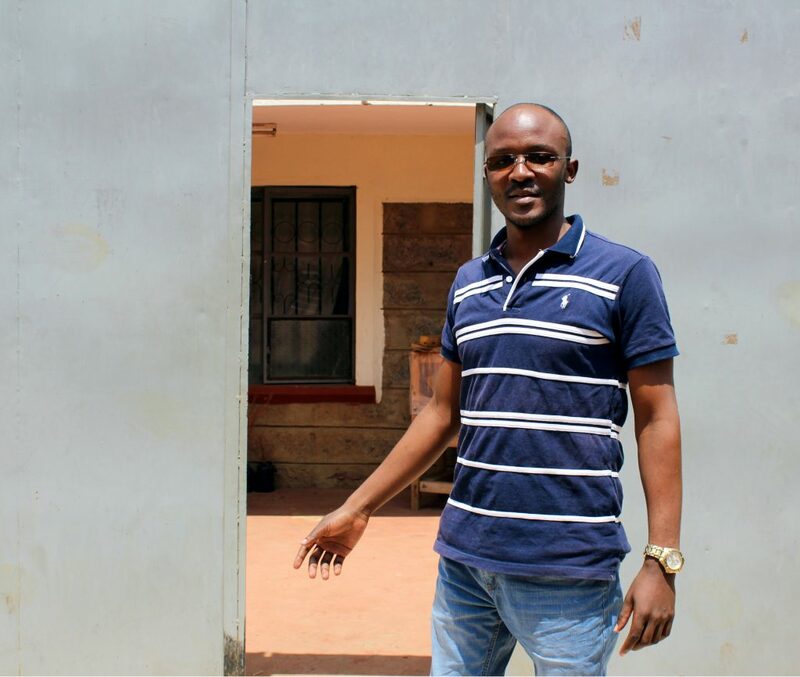 Aware that access to the internet will only increase in importance as more aspects of life are conducted online, Innocent is continuing to deepen his knowledge of information technology and is currently studying in Nairobi at Tunapanda, an organization that delivers training in tech and business. We want all elections to be inclusive and accessible for people with a #LearningDisability. ? Sam Jefferies, from our Voices Council, discusses how losing votes from people with a #LearningDisability would be a very sad electoral loss. There are still 37 MILLION people living with HIV. It's not over yet, but it can be. ? Let's #endAIDS. There are 37 million people living with HIV/AIDS around the world – but only 21 million of them have access to life-saving medication. Here’s how you can fight this. The nation will eliminate investments in all fossil fuels by 2025. States and countries around the world have to drastically reduce their greenhouse gas emissions to achieve the Paris climate agreement’s goal of keeping temperatures from rising more than 2 degrees Celsius compared to pre-industrial levels. Ireland’s commitment is a sign that the United Nations’ goal of a clean energy future is possible. You can take action on this issue here. The Republic of Ireland will become the world’s first country to completely divest from fossil fuels, reports the Guardian. A bill was passed this week with all-party support in the lower house of parliament to sell off all of the sovereign state’s investments in fossil fuel companies — including coal, oil, gas, and peat — as soon as possible, which is anticipated to be completed within five years. “The [divestment] movement is highlighting the need to stop investing in the expansion of a global industry which must be brought into managed decline if catastrophic climate change is to be averted,” said Thomas Pringle, the independent member of parliament who introduced the bill, in the report. “Ireland by divesting is sending a clear message that the Irish public and the international community are ready to think and act beyond narrow short term vested interests. The timing, some say, couldn’t be more prescient. The decision will effectively rid the European nation of holdings valued at more than $370 million, according to Trócaire, reported NPR. According to the bill, a fossil fuel company is defined as any that derives 20% or more of its revenue from exploration, extraction, or refinement of fossil fuels, the Guardian reported. But the bill allows for future investment in Irish fossil fuel companies if they move toward renewable energy. The announcement is the latest in a series of actions that illustrate Ireland’s desire to advance its climate stewardship. In 2015, Ireland successfully co-chaired complex negotiations on new sustainable development goals with the UN. Looking forward, Ireland’s Global Footprint to 2025 outlined a high-level commitment to spend 0.7% of national income on development assistance by 2025. "We must be very clear; people are dying today as a direct result of climate change through the increasingly frequent and intense disasters, through increased hunger, increased water scarcity," Pringle said in the NPR report, "and significantly more will die or be forced into displacement if there is not a radical change in direction." A happy song for a happy Friday! This year's Summer SING, a week-long children’s singing festival in Cork City, kicks off on Monday, allowing young people to experience the rich history and culture of Cork City while nurturing their natural singing ability. summer SING! is produced by ARTlifeCULTURE in partnership withMusic Generation Cork City, and is further supported by the Arts Council Ireland, Cork City Council Social Inclusion Unit, Cork Arts, University College Cork International Office and the Association of Irish Choirs. Ireland’s top trad musicians and more than 100 young players will gather in Portlaoise later this month for the annual Music Generation Laois Trad Summer School 2018. Now a firm fixture on Laois’ summer trad calendar, the Summer School will incorporate workshops, sessions and masterclasses across a wide range of instruments, as well as a series of evening concerts by both professional and young musicians. Over three days, from 20th to 22nd July, participants will be mentored by accomplished trad players and tutors including members of Award-winning Scottish folk band Talisk and highly-respected fiddle player, composer and teacher, Siobhán Peoples. An Opening Gala Concert at Dunamaise Arts Centre on Friday 20th July will kick-start proceedings, featuring performances by the Summer School tutors and appearances by the Music Generation Laois Trad Orchestra and Junior Trad Group. A highlight of the weekend will see epic Scottish trad band Talisk, recent winners of the BBC 2 Folk Band of the Year Awards 2017, perform a family-friendly gig in The Courtyard @ Kavanagh’s on Saturday 21st July. The Summer School will culminate in a celebratory student concert on Sunday 22nd July at Portlaoise Further Education and Training Centre, which is also host venue for workshops and classes throughout the weekend. Tuition at the Summer School will be available to children and young people ages 8+ with some experience in their instrument. The weekend offers a fantastic opportunity for existing Music Generation Laois participants to develop their playing skills and for new members to get involved in a dynamic, fun group-playing environment. Classes and workshops will be guided by members of the Music Generation Laois tutor team and visiting musicians, including: Talisk’s Mohsen Amini (concertina), Ernestine Healy (concertina), Deirdre Granville (harp), Lauren O’Neill (harp), Mikie Smith (uilleann pipes), Padraig McGovern (uilleann pipes), Paul Finn (button accordion), Derek Hickey (button accordion), Siobhán Peoples (fiddle), Denise Boyle (fiddle), Tommy Fitzharris (flute), John Kelly (flute), Colm Phelan (bodhrán), Tommy Hayes (bodhrán), Laoise Kelly (harp), Joseph Byrne (pipes) and Áine McQuaid (mixed juniors). Registration for the Music Generation Laois Trad Summer School 2018 is now open. 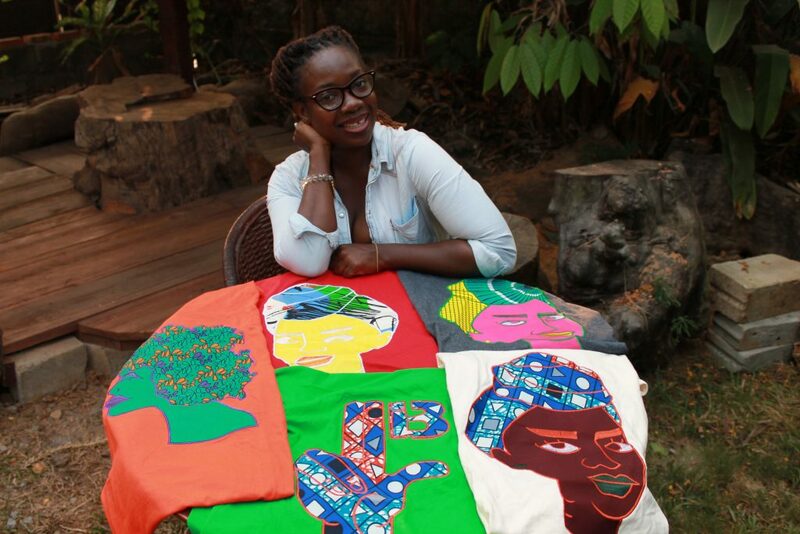 In 2013, Wilhelmina Myeonway Cooper did something few Liberian women manage to do – she launched her own business. 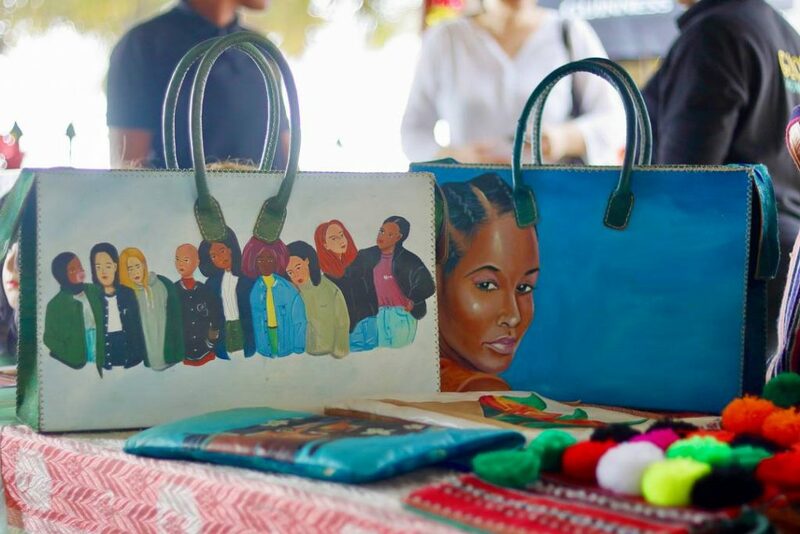 Passionate about fashion, Wilhelmina realized that she could work with local bag makers and artists to get them to customize bags for clients. 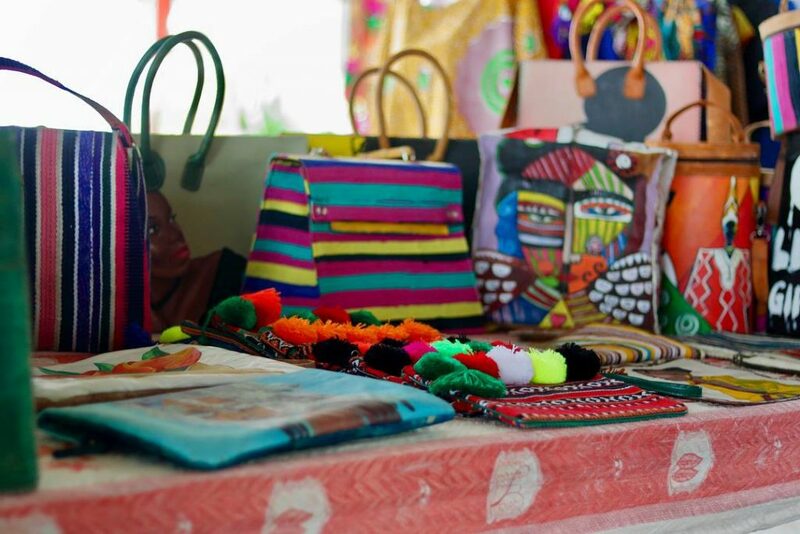 She came up with the idea after observing bag sellers at Waterside Market in Liberia’s famous slum, West Point. And so Myeonway Designs was born. But there was one major problem: Wilhelmina couldn’t afford to have a shop where customers could buy her bags. So in 2015, she opened the Monrovia African Pop Up Shop. The “shop” is an ongoing exhibition at which small business owners gather to showcase and sell their merchandise at Monrovia’s entertainment hotspots. 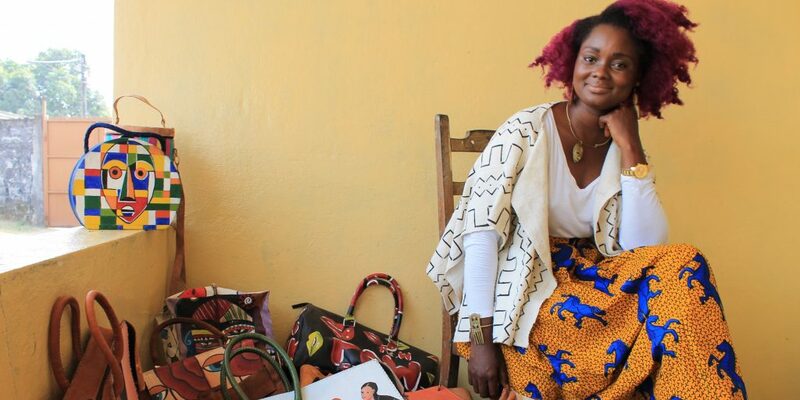 “It started out as a social enterprise where I could get local market people and small business people to sell their products for free,” Wilhelmina says. The shop has continuously grown over time: Nine vendors took part in the first exhibition and 30 in the second. At the third, in December 2017, 50 businesses were there to sell their products. 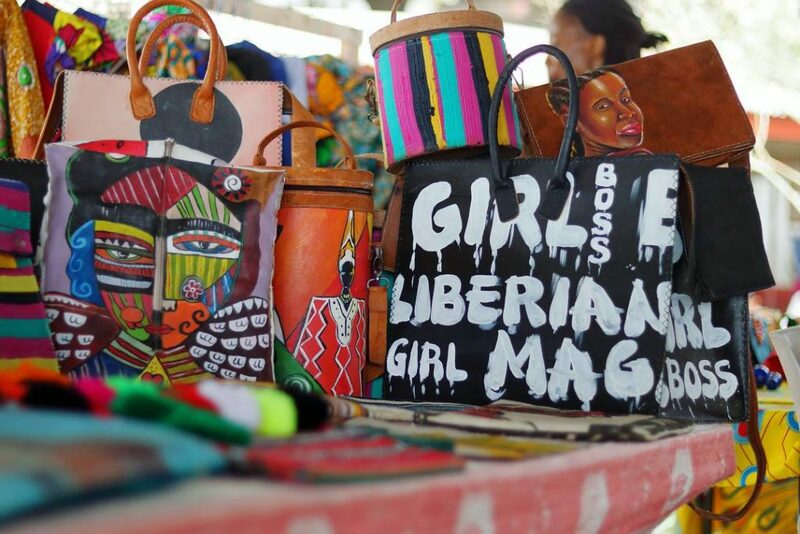 Wilhelmina’s success as a woman leading her own businesses is remarkable considering the economic, educational, and reproductive health challenges that burden Liberia’s female population. The country’s workforce and education system were devastated by the compounded effects of 14 years of civil conflict, as well as the school shutdowns during the Ebola crisis. As a result, Liberia’s development was severely delayed and the country’s instability has only made it harder for women to get ahead. World Bank data shows that Liberia suffers from an almost 64% poverty rate overall. Only 54% of its women participated in the labor force in 2016. The data also shows a mere 9.2% secondary school completion rate for women, and that just 44% of young women between the ages of 15 and 24 are literate. Issues like early marriage and pregnancy also disproportionately affect Liberian women and girls in comparison to other female populations around the world. In 2016, UNICEF reported that 36% of Liberian girls were married before turning 18, and the United Nations Population Division reports that 107 out of every 1,000 teen girls in Liberia had a child in 2015. Despite these factors around her, Wilhelmina has dreams of formalizing the Pop Up Shop into a larger business. Her goal is to expand the enterprise with the help of sponsors and banks. She also said she wants her enterprise to travel to other African countries like Ghana, Nigeria, and Uganda. Still, finances are her biggest struggle, as banks deem her business as being too small and high risk to lend money to. There are a host of other problems Wilhelmina is fighting against to keep her businesses thriving. She has trouble shipping her bags to international clients so she has to pay people who happen to be traveling from Liberia to carry the merchandise by plane and then post them in the respective countries. Wilhelmina also is unable to open a PayPal account from Liberia, so she doesn’t have a way for international customers to pay her online without the added costs that come along with services like Western Union. The Ebola crisis also dealt a major blow in Myeonway Designs’ early days, as she wasn’t able to make any sales during the outbreak. Wilhelmina is creating a website to give a platform to young female entrepreneurs like Simone Witherspoon, CEO and founder of The Word, a t-shirt brand. Leah Seya Stubblefield, the owner of the African clothing line Stubbs Fabrics and Accessories, said she appreciated Wilhelmina for helping build her confidence. She also credits Wilhelmina for creating a space for Liberia’s entrepreneurs to demonstrate what they have to offer to the public. In the coming months, Wilhelmina will be working with Business Start-Up Center Monrovia (BSC Monrovia), a local NGO that supports Liberian startups through fostering job creation and poverty alleviation, to bolster her future business efforts. BSC was created as a partnership between a local association of Liberian universities and SPARK, an international organization that creates access to higher education and facilitates entrepreneurial ventures by promising, energetic youths in underdeveloped countries. Grab your dancing shoes for a fun-filled night of Music & Dance that is taking place in Castlebar Tennis Club tomorrow evening, organised by our Castlebar Outreach Group. ? ? All are welcome to this night, which will be attended by a group of children and young adults from Vesnova Children's Institution, who are staying in Ireland with our Rest and Recuperation Programme. All are welcome and any donations on the night will directly benefit the children and young adults there on the night. This is a guest post by Gayle Nosal, Sauti director. 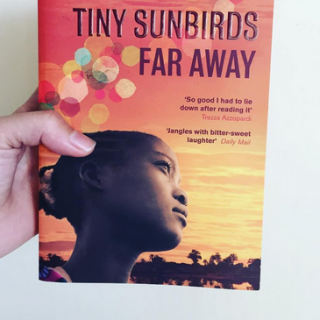 In the summer of 2012, I was invited to travel to Uganda to meet a group of 30 girls living together in a boarding house in Hoima, a town of approximately 50,000 people in the western region. Many of the girls were refugees from nearby Kyangwali Refugee Settlement and some were Ugandan citizens from rural, impoverished villages on the outskirts of Hoima. 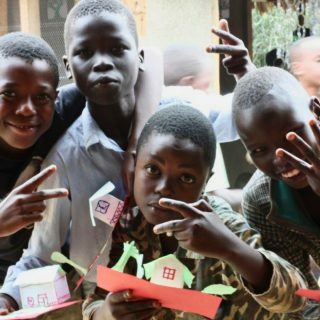 They were brought together by Think Humanity, a U.S.-based non-governmental organisation, for a highly unusual program providing food, housing, and school fees so they could attend secondary school, a resource otherwise unavailable to them. The 15-year-old girls lived like sisters — singing and dancing, ironing their uniforms, studying, attending church, and sharing stories of their pasts. Each girl dreamed of changing her life and navigating toward some kind of self-determination. When I first met them I was struck by the tonal differences they adopted when they politely spoke to me as a “visitor” compared to the casual way they interacted with each other when they thought I wasn’t paying attention. What I also wanted to hear was what they talked about when they stood together in a small group off to the side. I was curious about the questions they asked one another at night. When they awoke before dawn to bathe and prepare for school, how did they encourage one another? What made them laugh at dinner? Could the songs they sang as they held hands and walked be sung louder for many others to hear? From Hoima, I visited Kyangwali Refugee Settlement to meet some of the girls’ families. Uganda’s Kyangwali Settlement, located west of Hoima and near the border with the Democratic Republic of Congo (DRC), has been home for more than 20 years to refugees who fled war and persecution in DRC, Rwanda, and South Sudan. 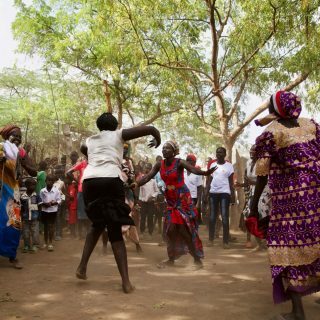 Despite years of efforts by the United Nations High Commissioner for Refugees (UNHCR), NGOs, and community-based organisations (CBOs), the people of Kyangwali — like in other refugee settlements — continue to face food insecurity, little-to-no income-generating opportunities, inadequate secondary education, and recurring outbreaks of preventable diseases. These challenges and many others disproportionately impact young women. I wanted to make a film documenting the experiences of these East African refugee girls who had arrived to the settlement as children, spent nearly their whole lives in the camp, and were now coming of age, hoping for a life beyond the constraints of a protracted refugee experience. To really know these girls and their lives, I wanted the essence of their own voices, not the voices of experts, not the stories written about them in the news, and certainly not scripted testimonies. So on my second visit to Uganda, I arrived with a team comprised of local and U.S.- based filmmakers. We told the girls that they would be creators of a film about their own lives and that we would be working alongside them to complete it. We provided them with creative options for sharing stories of their past, present, and future. We trained them to use Handycams, giving them exercises to work on (such as peer-to-peer interviews and video diary entries), and freedom to use the cameras as they wished. We provided basic art materials so they could also convey their experiences and hopes through drawing. At one point, two girls told us they liked to write poems. The next day, we were presented with dozens of poems — and their authors, excited to read them on camera. These creative options quickly became emotional outlets for the girls, while also being unique ways for them to share their compelling and often-traumatic stories more intimately. For we are the future generation. Uganda ranks among the top five refugee-hosting countries in the world, hosting an estimated 1.3 million refugees, mainly from Democratic Republic of Congo and South Sudan. Uganda has been recognised as a world leader in dealing with the refugee crisis because of its open door policy, and refugee engagement strategies like the distribution of land to refugees — however, this praise must be contextualised with harsher realities. The country is receiving far less funds than it needs for refugee support — in 2017 alone, the funding gap was estimated at $348.7 million. For the past five years and still today, new refugees regularly flow into Uganda from Burundi, South Sudan, and the DRC. The lack of funding and increased need has meant that humanitarian agencies are stretched thin. Additionally, this has resulted in reductions in refugee allocations of land and other key resources affecting education access, food access, health, etc. The film, Sauti (“Voice” in Swahili), focuses on just five girls and their families, each with a different view of what it means to be in a protracted refugee situation for decades. These families understood our goal to allow the girls to tell their stories authentically, using their own voices — without the commentary or opinion of others who were providing humanitarian assistance of any sort. At its heart, this film is an invitation to share a connection with those refugees who were in crisis decades ago and who, today, are still in crisis. Refugees today and those of the past are all connected to us — we have a shared humanity. Like all of us, they yearn for self-sufficiency and want to create a future of possibility and opportunity for themselves. It is an honor to show the stories of five young women in Kyangwali Refugee Settlement who — like all of us — want to belong. “Every once in a while a human being shares something so beautiful it restores my faith in humanity"
It’s the beautiful couple photo that has got everyone talking. No, it’s absolutely nothing to do with Prince Harry and Meghan Markle. Jeez, not everything has to be about Harry and Meghan guys! We’re talking about a Scottish academic and his Ghanian wife. On Boxing Day, Professor John Struthers, an Honorary Consul for Ethiopia in Scotland, tweeted a photo of himself with wife Justina — both dressed in traditional Ghanaian Kente cloth — at the Queen’s garden party in Edinburgh in July. The couple met at Glasgow University in the 1970s, and have been married for over 40 years. Accompanying the photograph was a heartwarming story of love conquering adversity. Taylor Swift take note: this is how you beat the haters. The beautiful photograph struck a chord — and as tens of thousands of people retweeted the touching moment, many shared their own stories of true love defying borders, cultures, and traditional expectations. In no time at all it’s everywhere. The day has been won by diversity, unity, and inspiring stories of devotion in the face of hate. "Responses to the tweet have been heart-warming and overwhelming,” Professor Struthers commented. Professor John and JustinaPrince Harry and MeghanNeither, because I’m dead inside. Duncan Jones, the son of the late David Bowie, was soon sharing the modern love too. .Still reading? Good! The good vibes aren’t over yet. No, sir. Not even slightly. This is usually the part where we’d hit you with some statistics about racism and its very real implications for equality all over the world. But, just this once, let’s just keep falling in love… with love. What else can we say? Sometimes a picture can tell a thousand words, and sometimes a face can launch a thousand ships. But a story like this can endure a lifetime — and the mark of love it can leave behind can live forever. Global Citizen campaigns on the Global Goals, including Goal No. 10 for reduced inequalities. Take action with us here, just as soon as you’ve stopped crying your eyes out.